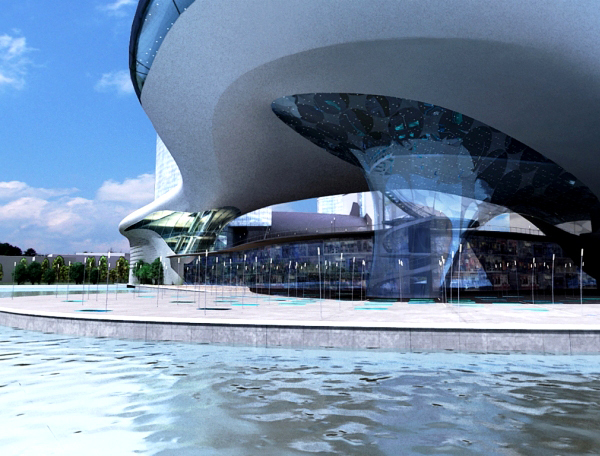 In previous post we've told you about Water Building Resort – beautiful hotel inspired by the drop of the water. 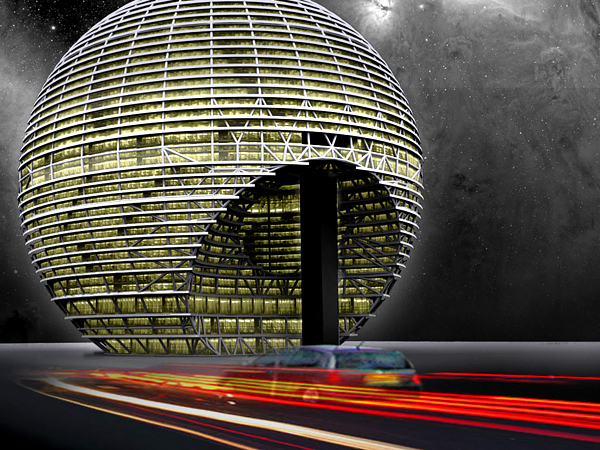 This time we will represent you a few eco concepts of buildings inspired by the form of the Moon. 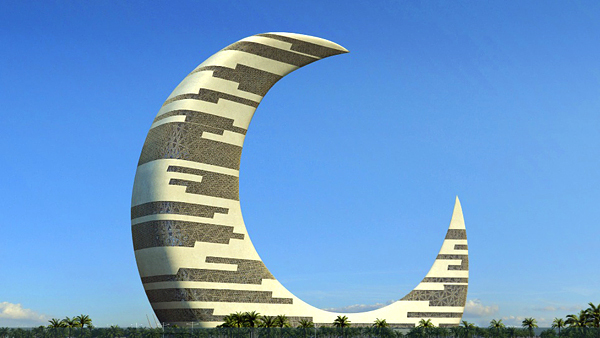 These building were developed by different design studios espesially for Muslims contries. 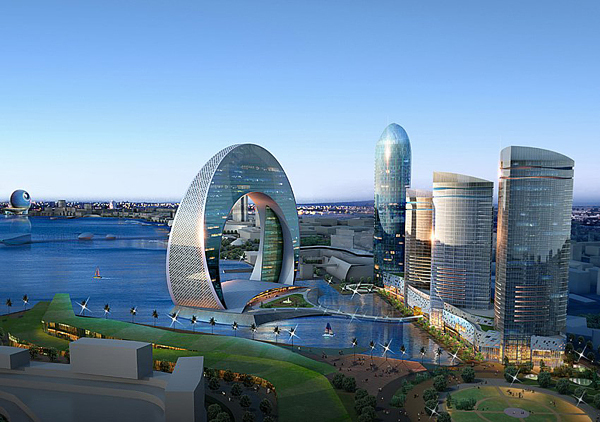 Korean architectural company Heerim Architects is trying to deviate from accepted standards in the construction of skyscrapers, and example of this is the project of two disc skyscrapers which are going to be built in Baku – capital of Azerbaijan. 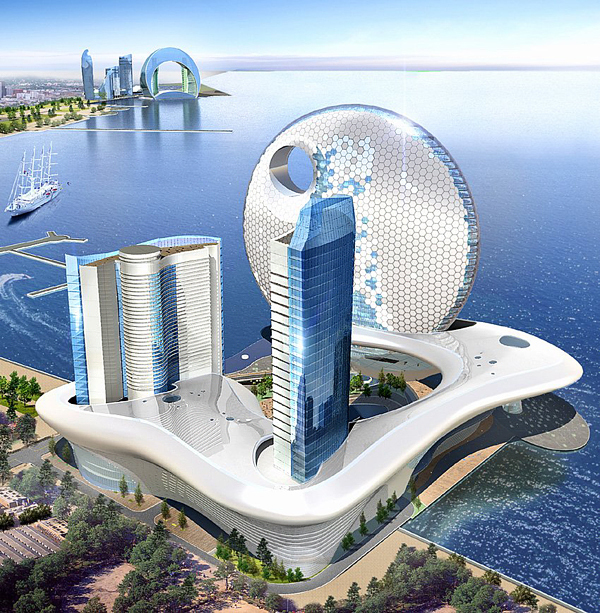 You can not call them twins, because apparently they are different, but united by their similar form, location and function: they are located on two adjacent peninsulas in the same bay of the Caspian Sea, and both will be hotels. 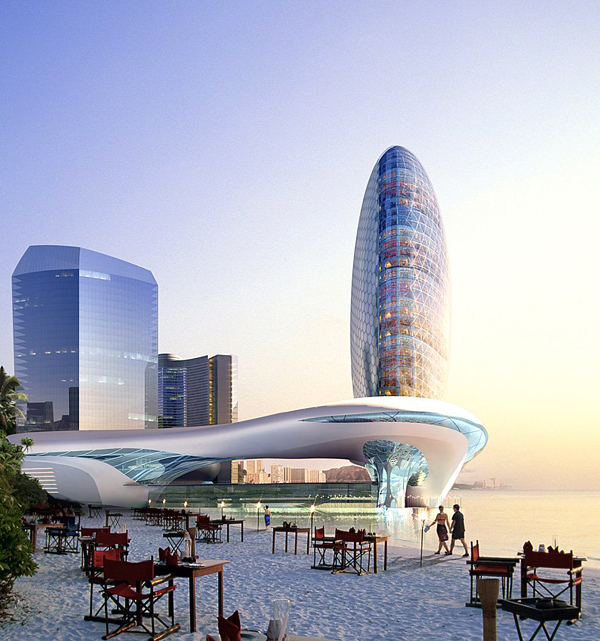 Hotel "Crescent" will be like a "gateway" to those guests who arrive to the country by sea and symbolize rapidly growing economy of Azerbaijan. Living area of the hotel is 128 140 m². 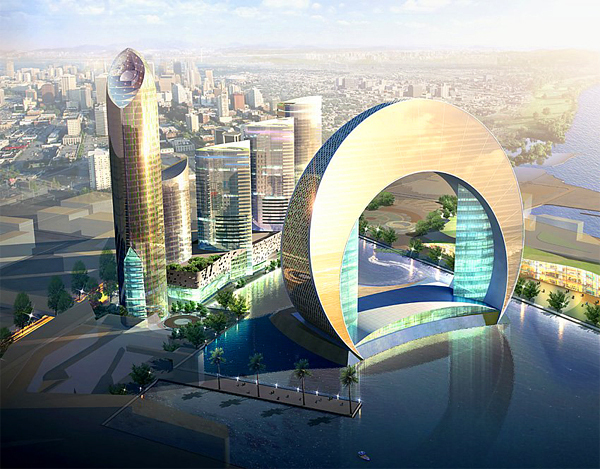 The 32-floors hotel will have 221 numbers and 128 utility rooms. 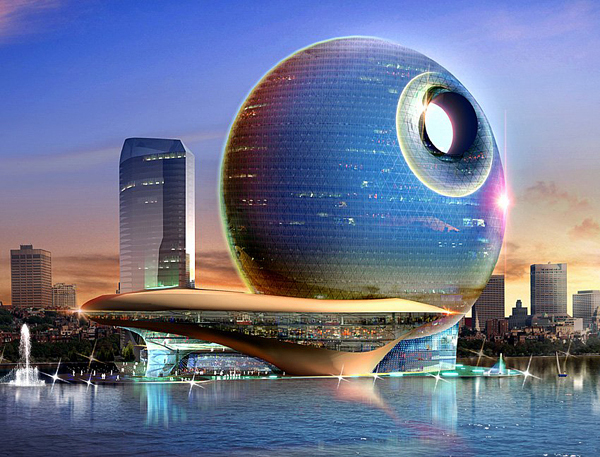 Instead of hotel "Crescent", on the other side of the bay, should be located hotel "Full Moon" – in the form of standing on the edge disk (more precisely – the ellipsoid) with a hole in the upper part. 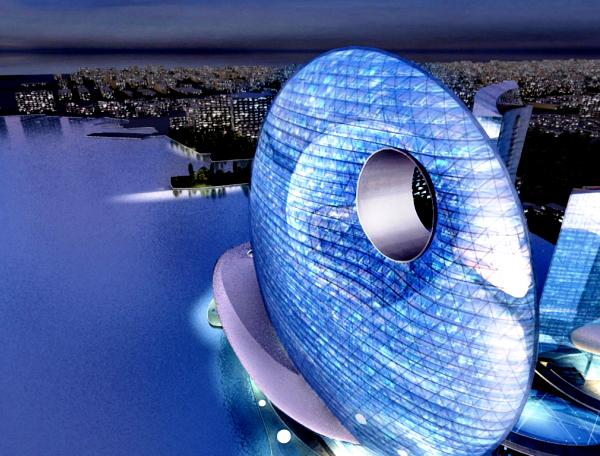 Hotel "Full Moon" will look very different depending on which side, and under what angle to look at it. 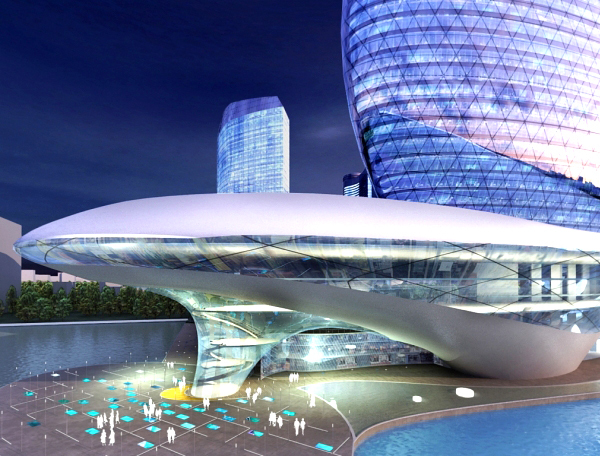 The hotel "Full Moon" will have 1590 meters and 35 floors where will be located 382 large "lux" numbers. 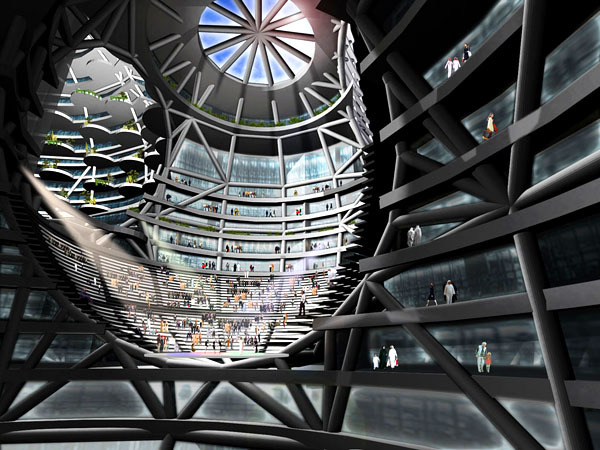 The total usable area – 104 182 m². 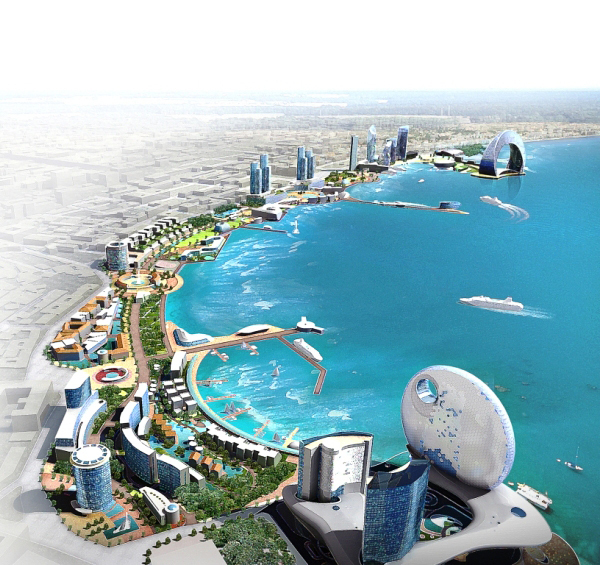 United Arab Emirates already can be called a testing ground for architectural concepts and ideas. 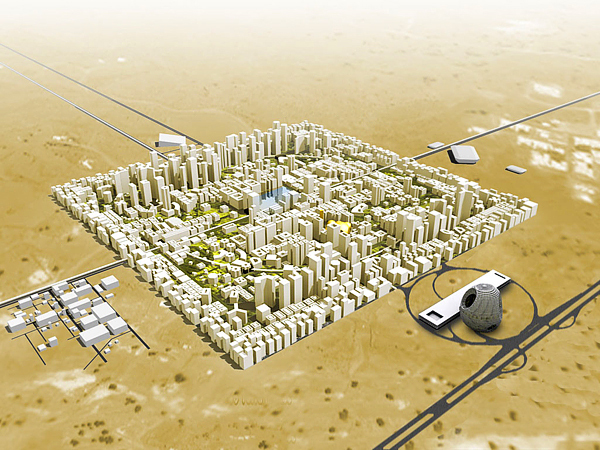 Rem Koolhaas and Reinier de Graaf of Office for Metropolitan Architecture designed the giant RAK Convention and Exhibition Centre for the new city at Ras Al Khaimah in the United Arab Emirates. 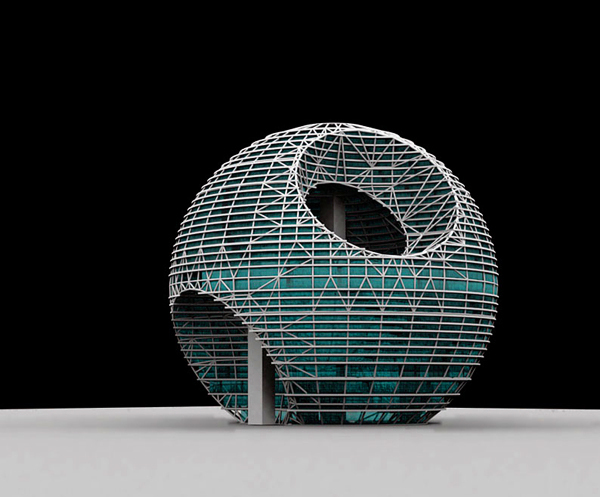 This center looks like the Death Star and consists of a spherical glass and steel nest and a very long, low building raised off the ground. 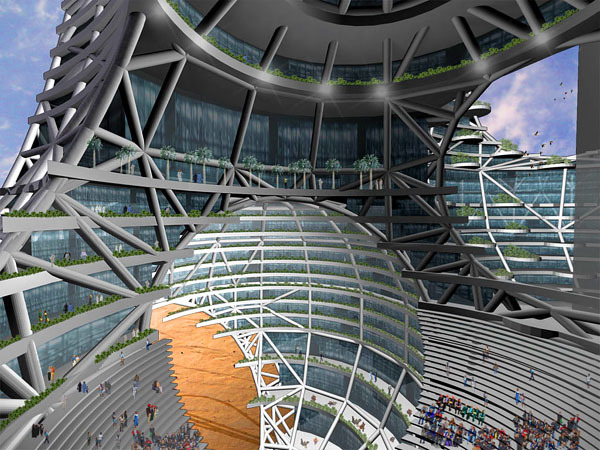 Unlike the traditional high-rise building, the design for the Ras al Khaimah Convention and Exhibition Centre accommodates all primary functions, such as the convention centre, hotel rooms, apartments, offices and retail space in a giant sphere. 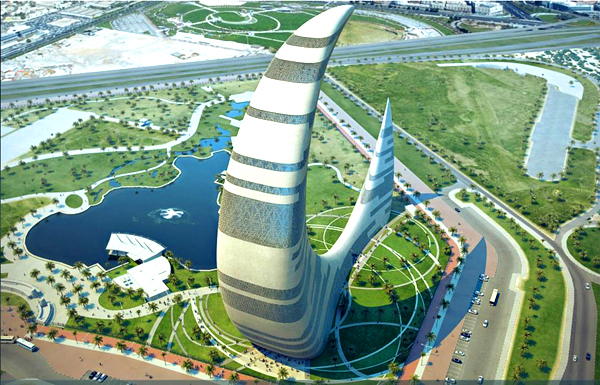 Recently has been completed a competition for the design of the emblem-structure of Dubai Park Zaabil. 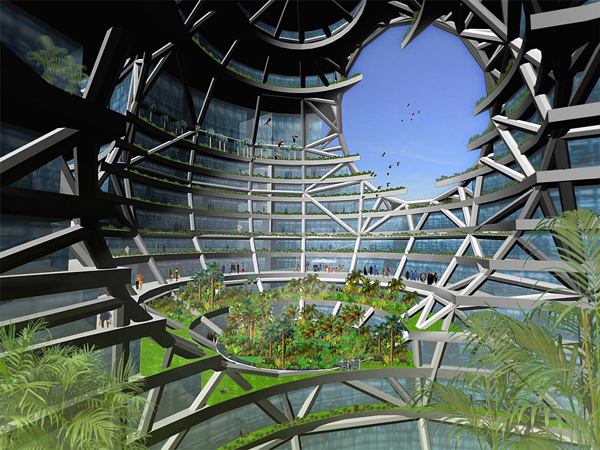 American Company Transparent House presented to the court of professionals "space" project called Crescent Moon Tower. 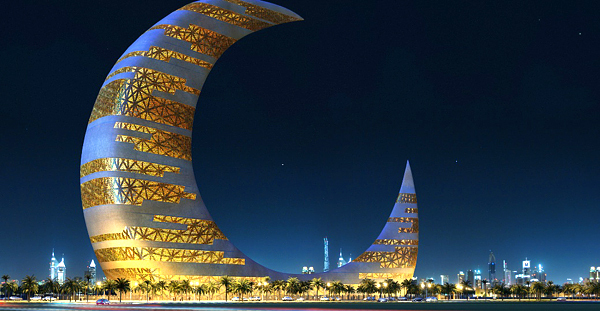 According to the architects of the Transparent House, their conceptual "moon tower" is not only combines the symbolic and traditional form of the Muslim world with modern technology and construction methods, but also in some way reflects the unity of the main characteristics of Dubai – the historical roots of the city and its level of development today.